Having allegations of harassment or discrimination leveled against your business can have devastating repercussions for recruitment and employee morale. A legal case or administrative action can be costly. If you do not have competent counsel, the success of your business can be compromised. In order to effectively address these types of situations, employers in Colorado can turn to the dedicated employment law team at Harris, Karstaedt, Jamison & Powers, P.C. Our client list includes auto dealerships, retail and wholesale businesses, and manufacturing and hospitality businesses. Contact our firm today to further discuss your employment law defense needs. 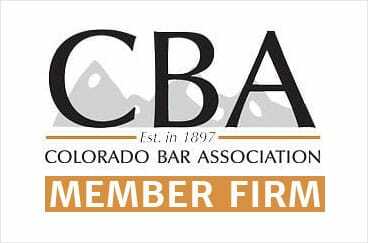 We have achieved excellent results for our clients in matters pending before the EEOC, Colorado Civil Rights Division, and state and federal courts. Some employment discrimination and harassment cases have a great potential to expose our clients to financial risk. We have been successful in obtaining an early resolution for modest sums of money, saving our client the costs of court as well as the potential risk of an adverse decision and costly settlement. Our lawyers also work with clients to enhance anti-discrimination policies, to proactively put training programs in place to avoid employment-related legal claims, and to draft employee handbooks and employment contracts. Contact an employment defense attorney at the office of Harris, Karstaedt, Jamison & Powers, P.C., today. We are committed to aggressively defending your interests in employment law cases involving termination defense, discrimination defense or other employment defense situations. Call us today at 720-875-9140.